* Total number of reviews and star-ratings are based on data collected during the time period Wally Falke's Heating & Air has been using the ReviewBuzz system and may not directly match the data found on each public review site. Excellent service as always. Please include Austin on this review. He was with Ricky. Ricky was professional, on time (even came out on a Sunday morning! ), friendly, explained what part of the heater was broken, showed the broken part to me, replaced it quickly and efficiently, and took the time to tell me about the company service program. I'm a costumer of Wally Falke's from now on! This company and Ricky gets an 'A+' from me. Jamie was beyond amazing! Arrived on time, called ahead. We needed a easy to program and use thermostat. He told us about each one, and ease of use. Decided on Honeywell. He was done in a matter of minutes! Showed us how to use it, very easy. Very pleasant and professional. I have been a very happy customer for 18 years!! not too often I write a second review on a company but its not too often that you find a company with with the values and philosophy that I ran my company with when I was in business. Jose went well above and beyond anything I expected to make sure our families needs were met and we were taken care of. Employees attitudes usually almost always reflect the the tone set by the owners and its very obvious the attitude and values that this companies leadership sets forth in their daily practice. Its really too bad that companies like this are becoming rare as They have made a lifetime customer of me and my friends/ associates. Jose was on time and very personable. He took time to diagnose what was going on with our air conditioner and explain it to me. he then laid out my options including some advice on ways i might be able to get through the end of this season with the motor i have, hopefully allowing me to make the repairs when my electric bill is several hundred dollars a month less. Finding a business who takes time to go the extra mile seems to get harder and harder to find. Jose is someone who clearly enjoys both the work he does and his employer- and it shows. Our AC broke down now that the temperatures are in the 90’s. Thank God we found Wally Falke’s Heating and Air Conditioning! They sent Perry over, and he got the job done in around 15-20 mins. It was obvious Perry knew what he was doing. I told him the symptoms, and he knew exactly where to go to fix it. We’re very impressed with his professionalism and how knowledgeable he was. I’ll definitley be using him again if the need arises and will definitely recommend him to friends and family! Thanks Perry! 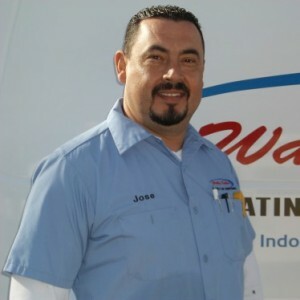 José B did an excellent job checking our AC unit and ensuring it's maximum quality. 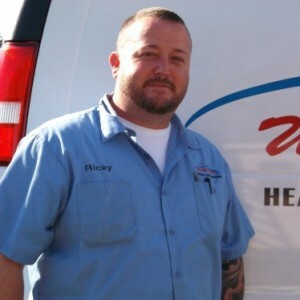 Ricky came out to service A/C units and again as always he delivered us with great service. We are so grateful for the great service he provides us every time he is called out. Because of Ricky we are a customer for life. Thank you many times over. Jamie was awesome. Complete inspection of the AC unit and two filters! Highly recommend! Jose is wonderful! Jose got my system up and running. He gave us tips how to better care for a 30+ year old system. He even scheduled an appointment for November to work on heating issues. It is so wonderful to have someone honest to help you out. Thank you very much! 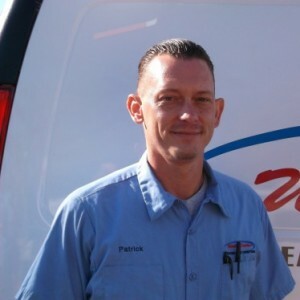 Customer service is always a top priority at Wally Falke's Heating & Air. Our BBB Membership A+ rating is like a badge of honor as we continuously strive to provide the best experience for our clients.